AvantiGas ON, based in Gisborne Close, Staveley, offers more than 60 years of combined energy experience from its team of senior managers who are dedicated to bringing natural gas to British SMEs. Launching a flexible, fully-online service with competitive pricing and advanced meter technology – including accurate remote readings and online consumption data – the team of 12 is headed by managing director, Dean Ewart, who brings more than two decades of gas and electricity energy supply experience and was a leading figure in the 1998 energy deregulation movement which redefined the market to offer more supplier choice to users. 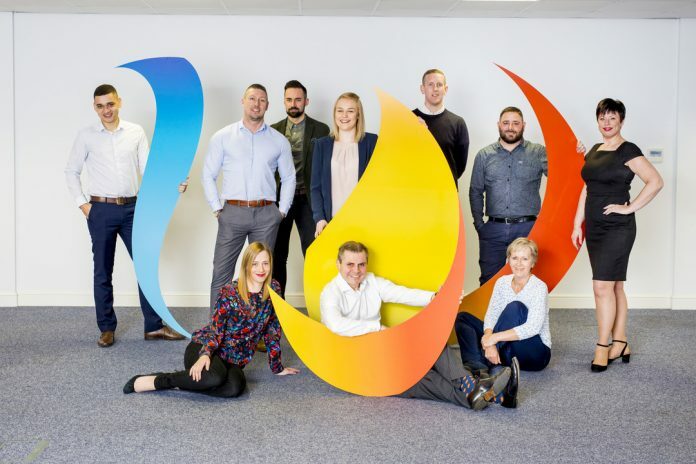 Formerly the MD of British Gas SME Energy and with experience at Gaz de France, Dean is an industry expert with a keen insight into the complex and ever-changing energy market – and how these changes can affect smaller businesses. Dean explains: “The natural gas market is a highly competitive arena but we have the perfect offering for today’s hard-working business owner in a management system fully accessible 24/7 and easy-to-view online consumption data, allowing greater control and ultimately the capability to manage usage.